OLD PARKED CARS. 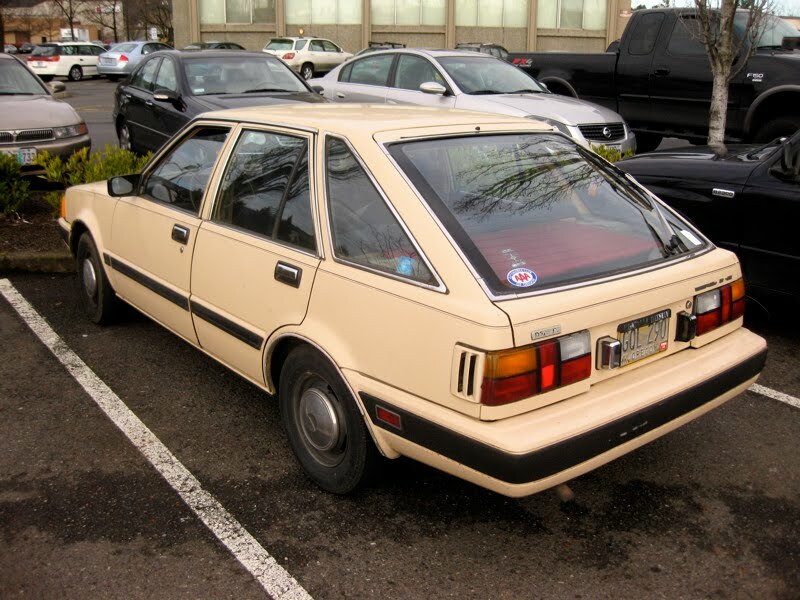 : 1983 Datsun/Nissan Stanza 4-Door Hatchback. 1983 Datsun/Nissan Stanza 4-Door Hatchback. Tough lookin lil' guy. Solid bumpers, side trims and styling on that backend. I think that's about as good as a 5 door hatch got in the 80s. 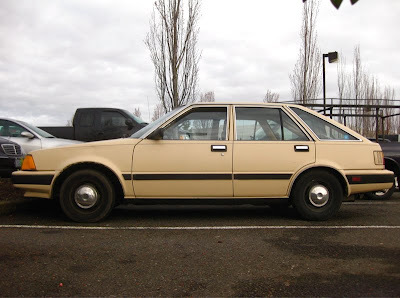 I had one of these too, an '82. One of my favorite cars of all-time. 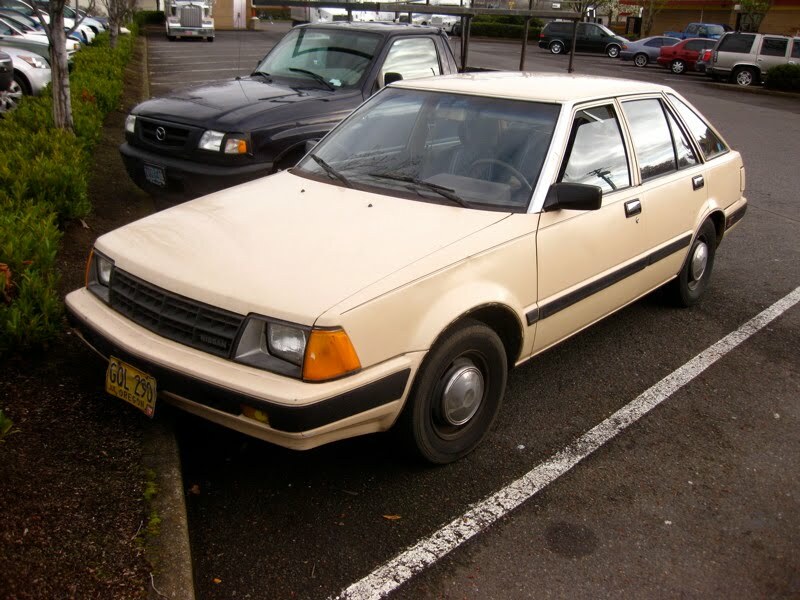 Mine had the beautiful cast-aluminum wheels and fog lights. Interior was very pretty and comfy. It was a great winter car. Sharp-looking and thrifty too. Air conditioning worked great. Wish I still had it. cast aluminum wheels and fog lights? that sounds gorgeous. i recall that when i was photographing this car, the owner rushed out of mcdonald's (where it was parked). she had purchased the car two days earlier and was worried that it had some sort of illicit history, that i was taking pictures because it was involved in a murder or something. i assured her i just thought it was cool, but she did not find that explanation any more reassuring.